“Buy the right haircare products for your hair type, not just the ones on sale,” says hairdresser Carlos. Top tip: Using a nourishing shampoo and conditioner between salon visits will make it easier to achieve the look you want. Try Head and Shoulders Smooth & Silky anti-dandruff conditioner, which will help keep your new hairstyle healthy for longer. “The maximum you should be is 15 minutes late because it has an impact on the service we can give you, plus it has a knock-on effect to other appointments. Always ring or text ahead as soon you know you won’t be there on time,” says stylist Sheila. “You can recreate that salon look at home with the right tools and products. For example, always apply at least one product before blow-drying. This protects the hair from heat and will make it easier and faster to dry and style when you’re at home,” says stylist Neil. “Not all looks can be achieved in one sitting. Someone could come in with a black home-dye colour and want to go platinum blonde in less than two hours, within a certain budget – sadly it’s just not possible! 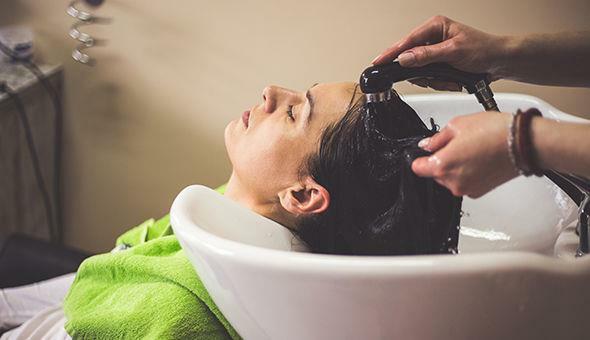 In reality, a service like that might take multiple sittings and a bigger budget than you originally thought, so be prepared to have an open discussion with your hairdresser,” explains stylist Veronica. Top tip: If you want a drastic change, book a consultation with your hairdresser in advance to discuss the options and likely costs. “Communication is key to understanding. We have to learn very quickly about a person and what their style and personality is, and therefore what their hairstyle says about them. We’re great analysts, but we’re not magicians!” says Enzo. 8. ... Even about your holiday!